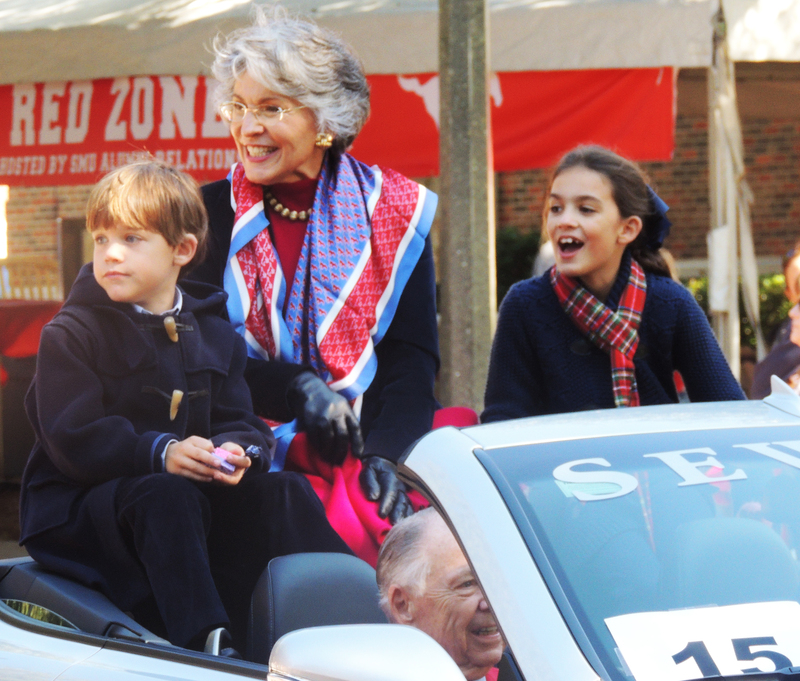 Linda Pitts, SMU graduate (’60) and now Centennial vice-chair, participates in the Homecoming parade accompanied by her grandchildren. They are looking and greeting the people gathered on the curbside to watch the parade at the Southern Methodist University, University Park, Dallas. Saturday, October 27,2012. (Abril Murillo/SMU).